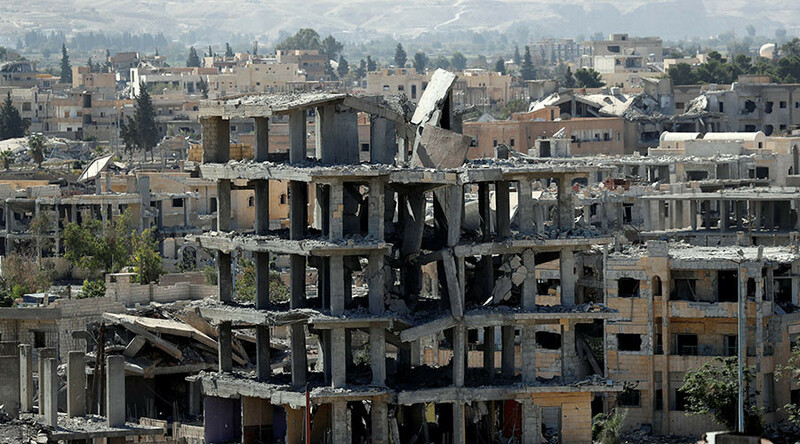 The US-led coalition has cruelly destroyed civilian infrastructure and has occupied the city of Raqqa it captured from ISIS, Syria’s Foreign Ministry has said, accusing the “illegitimate alliance” of misleading the international community about its true intentions. “Syria considers the claims of the United States and its so-called alliance about the liberation of Raqqa city from ISIS to be lies aiming to divert international public opinion from the crimes committed by this alliance in Raqqa province,” an official source in Syrian Foreign Ministry told the SANA news agency. On October 20, after four months of heavy fighting, the US-backed Syrian Democratic Forces (SDF) established control over Raqqa, once the de facto capital of the Islamic State (IS, formerly ISIS/ISIL) terrorist group. The US command says more than 1,100 US-supported troops were killed and over 3,900 wounded in the battle for the city. The liberation of the Raqqa, however, came at an extremely heavy price for civilians, with at least 1,800 casualties according to conservative estimates by Airwars, a journalist-led transparency project assessing reports of civilian casualties. It added that tens of thousands were displaced from their ravaged neighborhoods. 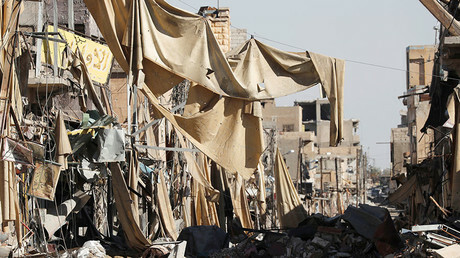 Some 200,000 people are estimated to have still been living in the city when the siege began in June. Most residential buildings in the city, now described by international journalists as a “ghost town” and “hell on earth,” have been rendered uninhabitable during the fighting which involved extensive airstrikes and artillery shelling. “Raqqa’s fate calls to mind that of Dresden in 1945, leveled by the US-British bombings,” the Russian Defense Ministry said earlier, referring to the controversial WWII campaign, during which American and British bombers dropped over 3,900 tons of bombs on the Nazi-controlled German city, killing some 25,000 civilians and obliterating much of its center. Damascus estimates that over 90 percent of Raqqa city has been destroyed by the “deliberate and barbaric bombardment” of US-led coalition airstrikes. “Yet despite the misery, the US and its allies are celebrating what they call the liberation of Raqqa over the bodies of their victims,” Syria’s Foreign Ministry’s official source said. Touring the ravaged city, RT Ruptly’s video agency discovered the true level of destruction and anguish suffered by the locals during the US-supported SDF campaign to liberate Raqqa and its surrounding villages. One local woman claimed that around 25 families were killed when SDF tried to ‘liberate’ her neighborhood from IS terrorists on October 20.